Among the jargon of Japanese politics, there’s a term called “Cabinet post waiting list”(Nyukaku taiki gumi). That list probably played a key role in the power game seen in Tuesday’s Cabinet reshuffle carried out by Prime Minister Shinzo Abe, political analysts say. The concept is a remnant of the old system probably dating back to the 1970s, when the ruling Liberal Democratic Party was comfortably in power and arbitrarily distributed Cabinet positions among members of influential intraparty factions. At that time, the only condition for Lower House members to be given a Cabinet post was that they had to survive a national election five times or more and be recommended by their faction boss, regardless of their ability or expertise. For Upper House lawmakers, whose term is six years, the attached condition was that they had to win an election three or more times. “Now it looks as if Japan has gone back to the 1970s. It appears Cabinet posts have been automatically distributed based on whose turn it is,” said Katsuyuki Yakushiji, professor of political science at Toyo University, commenting on Abe’s new Cabinet members. “Looking at the lineup, I don’t feel any passion or energy (from Abe) to tackle critical issues confronting Japan now,” such as the graying population, growing government debt and a shaky public social security system, Yakushiji told The Japan Times. In fact, among the 19 Cabinet members, 12 were handed a Cabinet post for the first time, the largest-ever number for an Abe Cabinet. 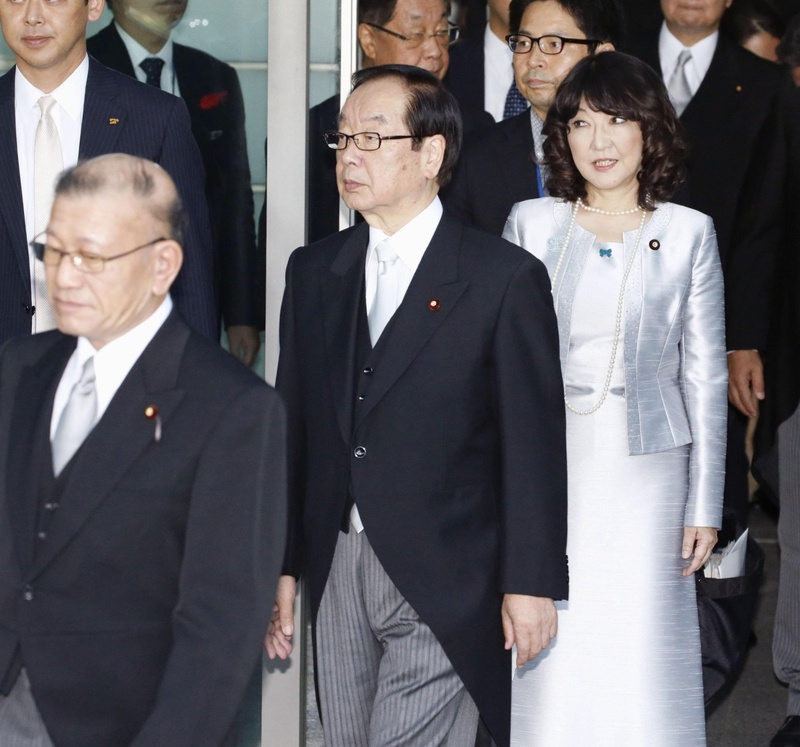 Eleven of the 12 new members met the Cabinet post waiting list conditions and many of them are believed to have been recommended by the five LDP factions that supported Abe in last month’s LDP presidential election. Although Satsuki Katayama, new regional revitalization minister, has only been elected to the Upper House twice, she was also elected to the Lower House once before that and so is considered to meet the list’s conditions. The only exception is new Justice Minister Takashi Yamashita, a former prosecutor who has been elected to the Lower House only three times so far. He is a junior member of the faction led by former Defense Minister Shigeru Ishiba, who challenged Abe in the party’s presidential election. Thus speculation has been rife that Abe may have chosen Yamashita over some senior members of Ishiba’s faction who are on the list to punish them for their rebellion against his hold on power. Izuru Makihara, professor of political science at the University of Tokyo, said that Tuesday’s reshuffle now looks like a reprisal of the first Cabinet Abe put together in 2006 after winning a landslide in the party presidential election. Due to the support given by the vast majority of LDP lawmakers, after the election Abe had no choice but to dole out several Cabinet posts to those who supported him during the campaign. Later, four ministers were hit by scandals and forced to resign, critically weakening Abe’s first administration, which ended after less than a year with his own resignation. “At that time, the overwhelming victory (in the presidential election) distorted Abe’s personnel choices (when forming the Cabinet). The situation this time looks quite similar,” Makihara said. “This time, Abe was re-elected thanks to support from factions other than the one led by Ishiba, factions that constitute the vast majority of the party. So he cannot resist pressure from those factions,” he said. Yet it remains to be seen whether Abe will succeed in easing the frustrations of numerous LDP members waiting to step into a Cabinet post. Aside from the 12 new Cabinet members, the LDP still has about 70 lawmakers who meet the waiting list conditions but who failed to land a Cabinet post this time. Their frustration will continue to simmer, a factor that experts say could destabilize Abe’s grip on power within the LDP if his popularity among voters ever shrinks. Media polls have shown Abe’s Cabinet has remained popular in recent months, at least up until Tuesday’s reshuffle. 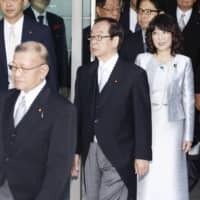 According to a regular poll conducted by NHK from Sept. 15 to 17, the approval rate for the Cabinet stood at 42 percent, and 39 percent said they were against it. Meanwhile, the support rate for the LDP was 35.8 percent, and that for the Constitutional Democratic Party of Japan, the largest opposition party, lagged far behind at 4.8 percent. But during the two-horse Sept. 20 party presidential race, 45 percent of rank-and-file members nationwide voted for Ishiba. This seems to indicate that many regional LDP members are deeply frustrated with Abe. Sunday’s gubernatorial election in Okinawa also heaped doubts on Abe’s ability to lead election campaigns, as the candidate backed by the LDP lost. Yakushiji of Toyo University said that, in forming a new Cabinet, Abe was probably preoccupied with cementing his grip on power within the party as he is entering his last term as LDP president. “It seems he is only thinking about maintaining power, not about how he will reform the country,” Yakushiji said.